Great money maker or can be used without charging. 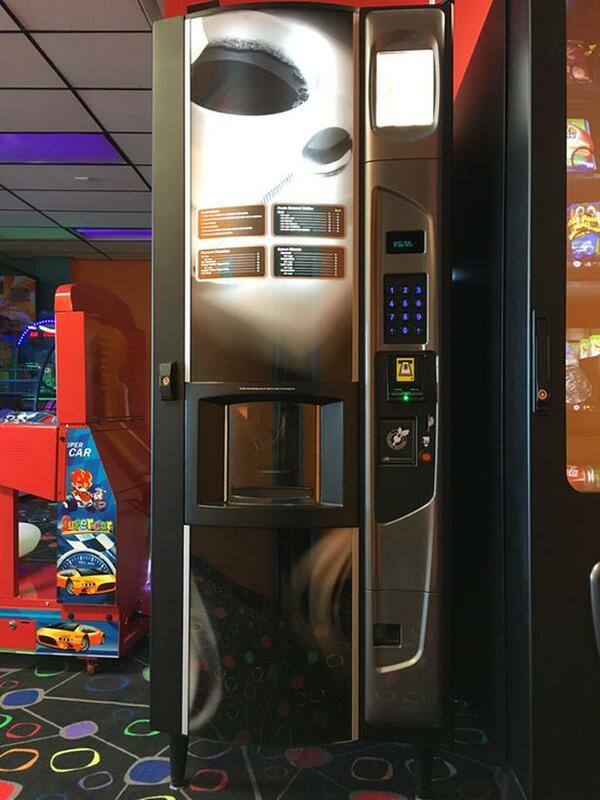 Hot drink vending machine. Top of the line, fresh brew model. Currently set to vend coffee (regular or decaf), espresso, cappuccino, café late, moccaccino, tea, hot chocolate, French vanilla cappuccino, English toffee cappuccino and hot water. Machine works perfectly, but no need for it as business was closed. Used indoors only a few years old. Very easy to use and easy to maintain. Canadian coin and bill acceptors, can be set for exact change or to provide change. Extra decals to change flavours, manuals and key available. Measures 6 feet high, 2.2 feet deep and 2.3 feet wide.